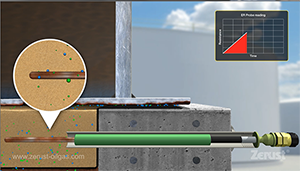 Soil side corrosion, a major cause of tank bottom failures, is typically caused by the ingress of external contaminants and moisture through gaps and spaces around the annular chime space. Filling and emptying of the stored product cause the bottom plates to flex drawing in more moisture and external contaminants. This problem is seen in both single bottom and double bottom tanks. 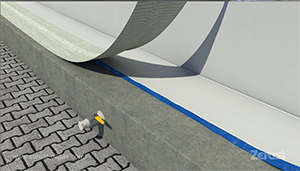 The presence of a release prevention barrier or liner, creates an ideal configuration for the use of Zerust corrosion inhibitors. 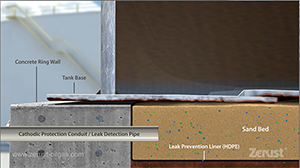 But how do you provide corrosion protection for entire soil side bottom area while the tank is in service? 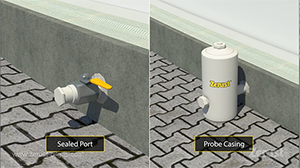 Zerust Oil & Gas has developed the innovative Underside Inhibitor Injection system that allows for the introduction of corrosion inhibitors while the tank is in service. 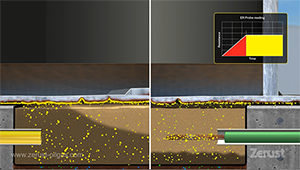 To get a baseline of the corrosive environment under the tank Electrical Resistance or ER probes are inserted into the tank sand or soil foundation. Corrosion of the ER probe causes an increase in resistance and hence provides a corrosion rate baseline. 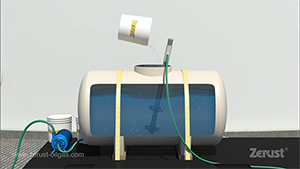 The tank chime is sealed using proven sealants to prevent ingress of moisture and contaminants. 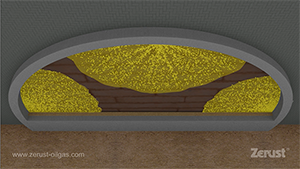 Zerust’s unique blend of Zerion inhibitors is mixed with water and pumped using a low pressure pump through designated ring wall ports into the sand bed. The Zerust solution flows through the sand, making its way across the entire tank bed. 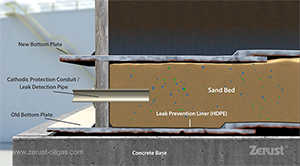 The Soluble Corrosion Inhibitors in the liquid neutralize on contact contaminants present in the sand bed. The Vapor Corrosion Inhibitors release from the liquid, rise through the sand and neutralize contaminants on the metal surface. 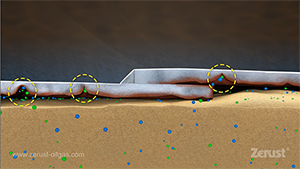 The vapors permeate the sand bed and protect the ER probe as well demonstrating the effectiveness of the VCI. This is seen in ER probe readings that are neutral indicating minimal corrosion. 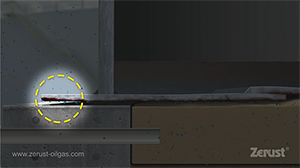 Injection ports are closed for a few days to allow the inhibitor liquid to be absorbed by the sand bed. The ER probe cable is safely secured in a casing outside the ring wall to enable readings to be taken while the tank is in service. 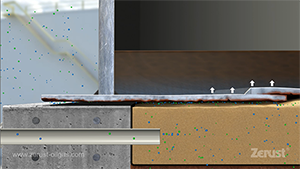 Multiple injection points around the tank circumference are used to ensure quicker and more uniform dispersion of the inhibitor liquid across the tank bottom surface. 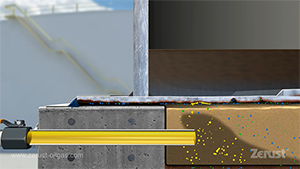 Once the inhibitor injection is complete, the VCI solution will be held in the sand by capillary action. The ports can be opened again to allow for normal use. The same process can be used to replenish inhibitors when needed, all while the tank is still in service.